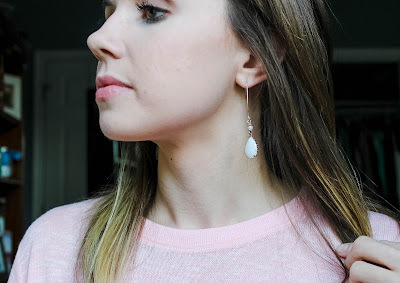 I'm sharing a lovely white drop pair of earrings with you that Zach gave me for our anniversary that I haven't had something to wear with till today. Or maybe a more truthful statement would be, I forget about them till today (whoops). I am in love with them and thought I'd share the simplicity of them with you and give you a similar link to another pair since I cant find the originals. *sad face* I love these because they are a classic gold and white so they go with everything. The dangle makes any outfit a little dressier but they are also casual if you're wearing a cute top with boyfriend jeans. They resemble a Kendra Scott pair. Or for a little more affordable get this pair. 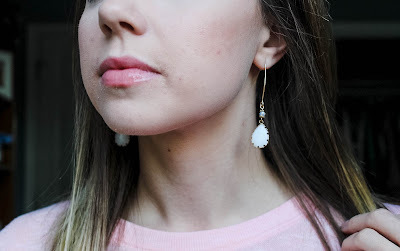 Do you have a go-to casual/dressy earring that you cant live without? I may have found mine! 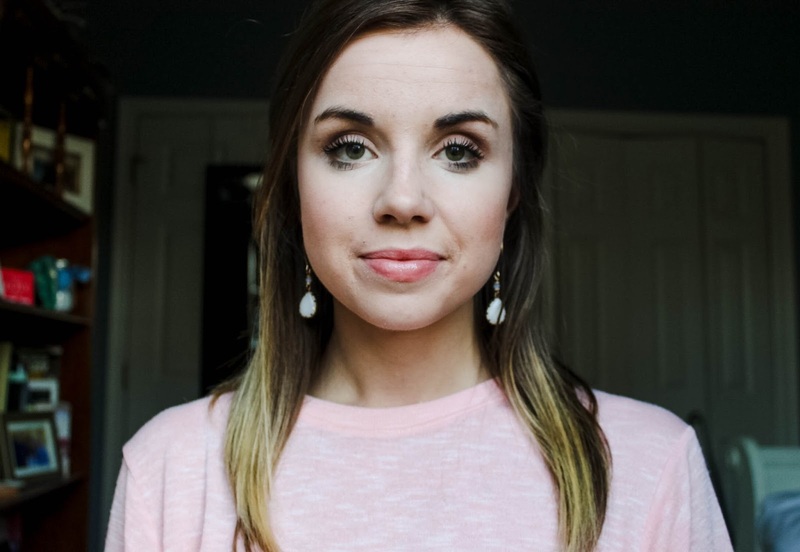 I have a Kendra Scott pair in pink. I absolutely love them! They are super light weight and don't hurt my ears.